The Honduras – Costa Rica international friendly soccer game, played at Costa Rica’s Estadio Nacional yesterday, ended in a 1-1 tie. Honduran David Suazo scored the first goal of the game in the 23rd minute, kicking the ball past goalie Patrick Pemberton. Costa Rica’s Olman Vargas was able to get one past La Selección’s Noel Valladares in the 50th minute, but that would be the last goal of the game. 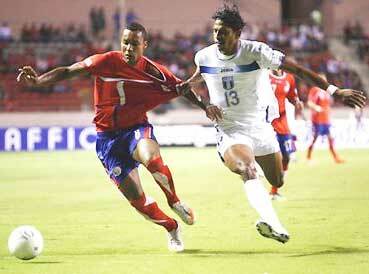 Costa Rica’s Tri-Color, after five consecutive games against Honduras, has yet to beat the Bi-Color team.